Complete loss of consciousness, lies as if dead. Coma due to sun-stroke, concussion to brain, stroke. Coma during fever. When you have before you a body which is doing nothing, no sweating, nothing you think of only one remedy Opium (Schmidt). 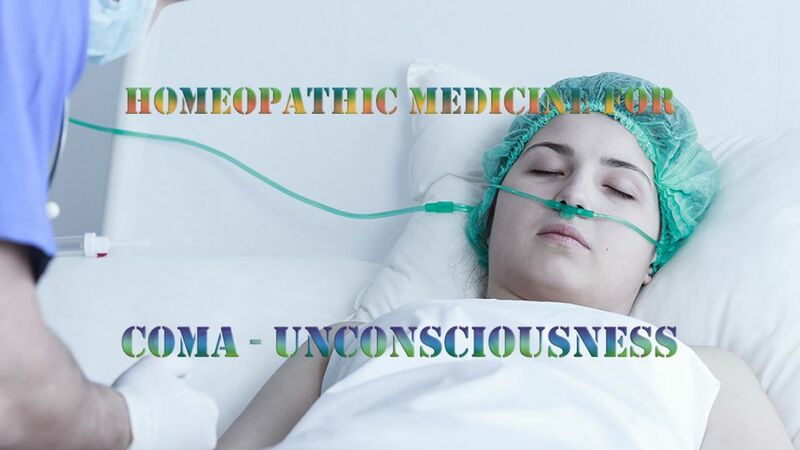 Unconsciousness during fever, child-birth during, warm room in, menses during, stroke in. Unconsciousness at the sight of blood. Unconsciousness from candle light, from listening piano. Unconsciousness from strong odor, during childbirth. Unconsciousness, concussion to brain after. Unconsciousness, kneeling in church when.